Converting your loft will give your Bristol home a real wow factor and has every chance of making you the envy of your friends. As loft conversion experts, we're here to make sure you receive that beautiful finish, making it even more enjoyable to live in your home. You can feel confident in using our loft conversion services as we've successfully converted lofts across the city and suburbs of Bristol, and the surrounding area in cities such as Bath. If you would like to have a chat with one of our clients then please ask. Contact us today and find out more about using our loft conversion services. If you're looking for a loft conversion in Bristol, then we've carried out many loft conversions across the Bristol area, so get a quote now, call us on 01454 603992, we'd love to help you by using our vast experience and knowledge on your loft conversion. Seeing photos of our other loft conversions in Bristol can make it easier to visualise how your project will progress with North Avon Carpentry. As with any building project, a loft conversion will likely give you lots of questions that you want answers to. As Bristol loft conversion specialists, we're here to give you our expert opinion. Take a look below at some of the most common questions we're asked below. If you have a question of your own then please contact us today. We live in Bristol, do you work in the Bristol area? Yes, we cover the whole Bristol, Bath, Somerset and South Gloucestershire Area as well as South Wales and the M4 Corridor. Basically that depends on the size of the required conversion and the various elements involved.The more structural work involved to insert steel work within the structure, create structural elements such as Dormer windows and supply and fit roof lights all impact on the cost. Also the actual purpose that the loft is being converted into will also have a bearing. For instance an extra bedroom, office or a simple playroom for the kids will be cheaper than a room combined with a bathroom or en suite as there will obviously be plumbing and sanitary fittings to consider. You do not need planning permission for a loft conversion unless you are in direct breech of the local authority planning laws, basically this only ever arises when people wish to put a Dormer window on the front elevation of the property in Question. You will however need to adhere to the local authority building regulations. These are designed to ensure that all building work is carried out to a recognized and approved code of practice, using the proper materials to meet the current building regulations. With regard to loft conversions these regulations mainly involve the thermal insulation value of the conversion, all structural timber and steel work as well as fire regulations and stairs. All works are inspected at various stages of the project by a qualified building inspector with a completion certificate being issued at the end of the conversion.There are two ways of having the project inspected, firstly by the local authority(council)inspectors or by employing whats known as an approved inspector from a private surveying company, either way there is a fee payable for their services. How feasible is it to convert our loft? Basically a simple free site survey from ourselves will quickly determine the practicality's and cost effectiveness of any specific loft conversion. What are the main things we need to consider when planning a loft conversion? 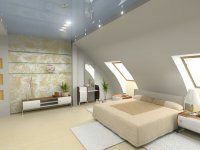 The main things to consider when planning your loft conversion are firstly what the extra space will be used for, will it bean extra bedroom if so will it have an en suite. Will it be an office therefore requiring maybe more electrical installation than a standard room. will you require fitted furniture for example wardrobes, desks or beds. And finally where will the access to the new conversion be situated ? All conversions require a staircase and this must be situated somewhere on the floor below the loft. Ideally the stairs can be positioned on the existing landing above the existing stairs, this is not always possible so consideration should always be given to losing part of another room to positioning the stairs. What does the loft conversion process involve? Firstly an initial survey should be carried out by ourselves free of charge to see the practicality's of the project, all being well we would then have our Architect draw up some plans for you to approve the design. These plans would not require planning permission but would be suitable for the building regulations to be approved. Once the formality's are approved and you are happy with the final design you will receive a final written quotation for everything as agreed on the final design.Once that has been agreed we would then commence the project which would follow the logical progression of any other loft conversion. We need some loft conversion ideas, have you got anything to inspire us? Yes, we have many years of experience in the loft conversion/ building trade and we are more than willing to discuss and recommend any ideas we feel may enhance your project. Have you got pictures & photos of other Loft Conversions you've done in Bristol? Yes I have a huge amount of photos of previous conversions we've carried out. We also have written testimonials from previous satisfied customers. How do I make sure our loft conversion meets building regulations? As we explained earlier all works are carried out and inspected at regular intervals by a qualified building inspector with a completion certificate being issued at the end. I'm looking at doing a DIY Loft Conversion, I know you're going to recommend I employ the experts, but how hard can it be? That's a matter of opinion. Having worked in this industry all my life i've seen first hand some of the DIY disasters that people have created. I would say that something as complicated as structurally altering a roof, inserting steel work and building and fitting staircases is something best left to the experts.